Harry Dalessio is head of the Full Service Solutions businesses within Prudential Retirement, a unit of Prudential Financial, Inc. (NYSE: PRU) and a leading provider of defined contribution, defined benefit, nonqualified deferred compensation plan administration, institutional investment and participant services. Since 1924, Prudential Retirement serves nearly 7,800 public, private and not-for-profit organizations and more than 4.2mm individuals accounts for over $401.3B of retirement account values. 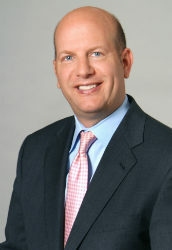 Dalessio has held other roles at Prudential, in his previous role, Dalessio led national sales, including full service corporate, tax exempt, investment-only stable value, pension risk transfer and non-qualified sales, plus the channel management team responsible for developing and implementing Prudential Retirement’s channel strategy. Prior to that, Dalessio was vice president, Eastern U.S. Corporate Sales, leading the team who represented Prudential’s comprehensive defined contribution, defined benefit, and nonqualified products and services to corporate plan sponsors. Earlier in his career, Dalessio held regional sales leadership, client management, and operations positions with CIGNA Retirement & Investment Services. Dalessio has published several byline articles in industry-related publications. He frequently meets with industry and national media to discuss opportunities and trends topical within the retirement market. Dalessio serves on the Board of Trustees for The Bushnell Center for the Performing Arts and No Barriers USA. Dalessio earned a B.A. in Economics from Providence College and a master’s in business administration in Finance from Fordham University.